En la costa sur de España, entre las ciudades andaluzas de Almería y Motril, un nuevo camping te está esperando. El Camping Mar Azul Balerma ofrece un terreno amplio y llano con servicios y prestaciones de primera calidad. A muy poca distancia se encuentra el pueblo de pescadores de Balerma y a unos 10 km la acogedora ciudad de Almerimar. Su puerto es muy activo y la ciudad también cuenta con un gran número de restaurantes. Todas las banderas de Europa te dan la bienvenida cuando recorres la avenida paralela al mar. El terreno del camping está ubicado más atrás, de forma que no da directamente a la calle. El propietario holandés es muy amable y servicial. En muy poco tiempo edificó un camping completo y confortable en esta región tan popular entre los turistas durante el invierno. Pero también durante los meses de verano este lugar es un paraíso. Es ideal para pasear en familia, gracias a su fantástica piscina y a su equipo de animadores. En todo el camping Mar Azul Balerma encontrarás lugares soleados. Las plantas, recién plantadas, siguen creciendo. Sin problema, porque la mayoría de los lugares para acampar están cubiertos con mallas de sombra. Además, las palmeras que están distribuidas por el terreno brindan un toque tropical a todas las parcelas de acampe. Las parcelas están cubiertas con gravilla y se encuentran frente a calles bien iluminadas. En el medio del recinto hay algunos coloridos bungalós de madera dispuestos en fila. Si conduces un poco hacia el norte llegarás a la ciudad de Granada con el imponente palacio de Alhambra que la domina desde las alturas. Este impresionante complejo arquitectónico, edificado durante la época del Reino nazarí de Granada, ha sido declarado Patrimonio de la Humanidad por la Unesco. Este inspector visita cada año al Camping Mar Azul Balerma y lo inspecciona considerando más de 200 servicios y otros aspectos importantes. El inspector es un trabajador de ACSI y no trabaja para el camping. A well appointed campsite with good facilities and friendly staff. The nearby town has nothing really to offer and you are surrounded by poly-tunnels. The only real negative for us was that the water tasted funny (almost like sea water) but this will not deter us from using it again. Brilliant campsite, roomy pitches and the toilet/shower facilities are one of the cleanest we have encountered. Quiet site which we like. WIFI very good on all pitches.The only thing if you have no transportation is that Balerma is very small although there is a Consum but you need to be able to get out and about if staying for more than a few days. Only downside was the confusing bus timetable which indicated a 930am bus to El Ejido and never arrived When I looked later online it was 9am! This is our favourite in Spain, very clean, near to a small very Spanish town, local Consum supermarket, all you need for a great holiday. This is not a review of the campsite facilities as we turned around at the gate but more a view on the location of the site. There is no mention in the ACSI book or previous reviews that it is surrounded by miles of white plastic greenhouses in a less than picturesque and barren landscape. The whole scenery along the A7 between Almeria and Motril (and beyond) is blighted by plastic tents, it isn't a journey we will repeat. Nice site pitches a little on the small side. Restaurant good, fresh bread sold daily. Toilets and showers good plenty of hot water. Good cycling. stayed on this campsite for one night in January 2017. Our first visit and we were impressed with the facility's which are very modern the shower block was spotless with hot water always available also a dog wash and good child facilities and good sized pitches. The staff were very friendly and the bar area was pleasant with good basic food served. The town was very quite while we were there but had good supermarket about 20 min walk, 10 klm to the East is Almerimar which has a lovely marina with plenty of restaurants/cafe bars. The campsite is surrounded by poly tunnels but there are good views of the mountains and after a while they didn't seem as noticeable. We will definitely be returning sooner rather than later! If you are traveling through Almeria , It is a gem of a site. Helpful staff. Excellent facilities, The owner is always looking to improve this excellent site, We will return. This is a lovely site with big pitches and plenty of shade. The toilet blocks are immaculate and cleaned regularly. The staff are friendly and very helpful. The beach 100 meters from site and we can take our dog on it, and we could wash her off back on the site in their own shower room afterwards. A beautiful pool with easy access for people with disabilities. Food in restaurant good quality and value love the pizzas but drinks a bit expensive. The village 5 minutes in motorhome 10 minutes walking with great seafood bars. All in all a great site will return again. ¿Desea reservar u obtener más información sobre su Camping Mar Azul Balerma? Puede hacerlo mediante los datos siguientes. A7 Almería/Motril, desde ambas dir., tomar sal. 400 o 403, dir. Balerma. Seguir las señales en vez del GPS. 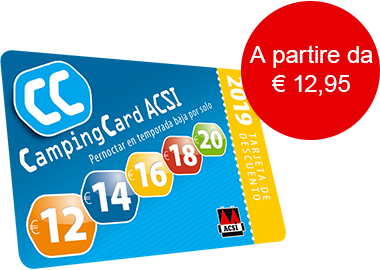 ACSI Eurocampings reenvía su solicitud de información al "Camping Mar Azul Balerma".